On November 5, 2015, an iron mining tailings dam, owned by the Samarco company, a joint venture of Vale and Austro-British BHP Billiton, collapsed in Brazil killing 19 people and sending a toxic sludge flood into the Rio Doce, polluting its length to the Atlantic Ocean. Dr. Fabiano de Melo recognizes this historic tragedy, but notes that the Rio Doce has died twice. It first died a slow death, over several hundred years, as the great river’s watershed was deforested and its wildlife slaughtered in order to serve human needs and desires. The Samarco disaster marked its second death. “Many actions can and should be taken to restore the river and its biodiversity,” he says in this Mongabay commentary: “Forest recovery programs, followed by projects to reintroduce native fauna, in particular aquatic fauna, should be prioritized. [A]n intensive effort to implement sanitation projects in urban areas” is also needed. “Without any action, we are facing the final funeral of the [Rio Doce] basin,” he concludes. “In a few years, with the current government policies and negative interventions, there will be nothing left but memories of a mighty river.” This post is a commentary. 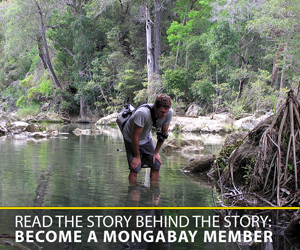 The views expressed are those of the author, not necessarily Mongabay. 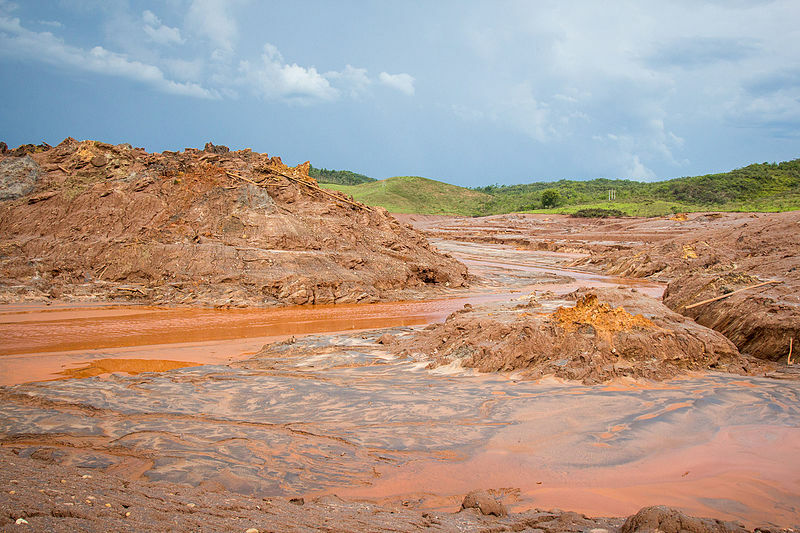 When a dam burst and released mining waste into the countryside of Minas Gerais, Brazil, in November 2015, the toxic tailings also polluted the main channel of the 800-kilometer river. That disaster was the beginning of one more — but not the only — tragic chapter of this story. 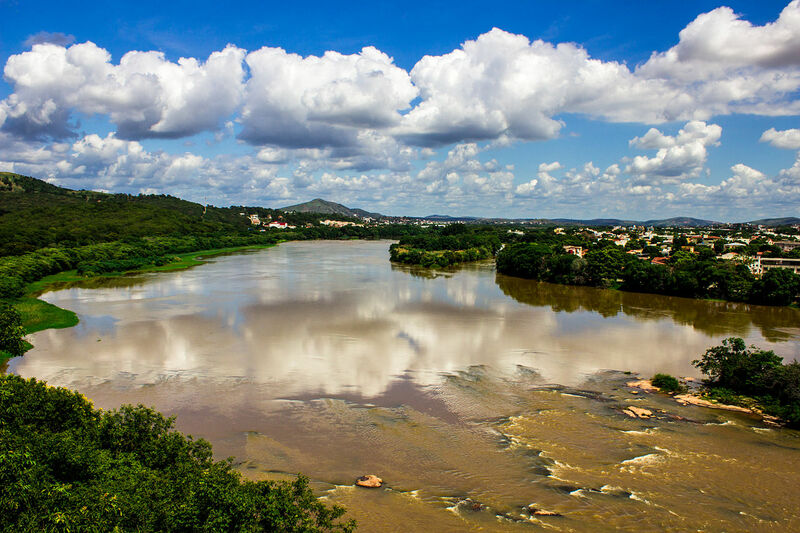 The slow death of the Rio Doce basin has been happening for at least a century, the result of the messy process of managing land in a country that allows large areas to be cleared for crops and urban development, even along rivers. The consequences have been forest devastation and severe forest fires; intensive use of the soil, leading to its deterioration throughout the majority of the basin; irregular occupation of the river’s margins; excessive removal of water — either to quench human thirst or to use abusively with industrial agriculture in the last decades –– contributing to the urban disarray and the undeviating pollution of its watershed. At the end of an intense Anthropocene century, the river was basically already dead. The river was left with only 13 percent of the Atlantic Forest’s original vegetation coverage, and the remaining lands are facing an almost irreversible process of recovering long stretches of bare, exposed and very poor soil. To give an idea of what happened throughout these years, the watersheds of all of Rio Doce’s tributaries, including the main channel, have lost 80 percent of their native vegetation coverage in areas of permanent preservation (so designated by the old Forestry code), according to maps from SOS Mata Atlântica Foundation, a nonprofit organization dedicated to saving the Atlantic Forest in Brazil. The highlands, represented by counties like Mariana, Guanhães, and Conceição do Mato Dentro, nowadays have more forest coverage due to their occupational history that followed distinct cycles of deforestation followed by forest recovery. A similar process happened in other drainage areas, particularly the highlands of the main tributaries of the Suaçuí Pequeno and Suaçuí Grande rivers. However, the areas impacted dramatically by deforestation, concentrated between the cities of Governador Valadares (MG) and Linhares (ES), have not recovered. To exacerbate the history of degradation, relentless and indiscriminate hunting caused the local extinction of many diverse species. 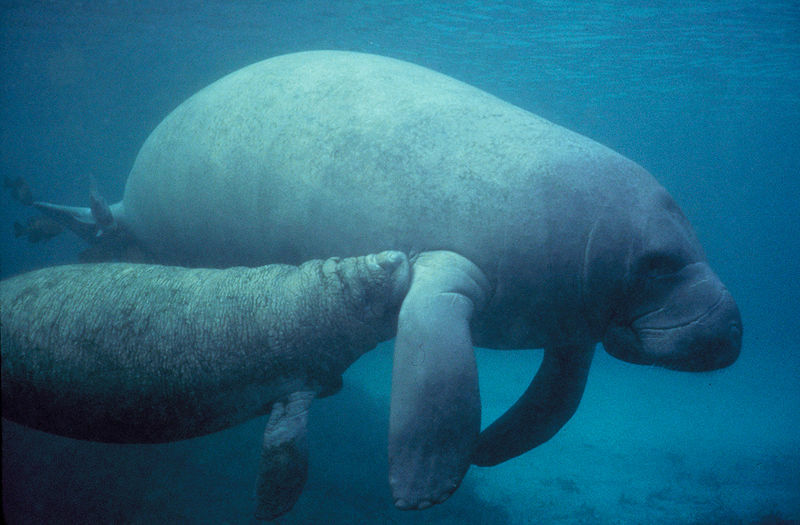 At the beginning of the past century, for example, sea manatee (Trichechus manatus) could be found at the mouth of the river, but none have been seen for many decades. There are two records that confirm the presence of the giant otter (Pteronura brasiliensis), the world’s largest Mustelidae, in the Atlantic Forest, and they both occurred in the Rio Doce basin — one in the nineteenth century and the other in the beginning of the twentieth century. Apart from these records, the species has never been sighted in the states of Minas Gerais and Espírito Santo. The absence of both species show the chaotic status (the severity of destruction, because large mammals were easy targets to hunters and required more habitat) that the Rio Doce has reached after many decades of ravage, destruction, and abuse. The river’s native fish fauna is exuberant and rich, but even these have been threatened by constant pollution of the water — through heavy minerals and domestic and industrial pollution — and by the introduction of exotic animals. 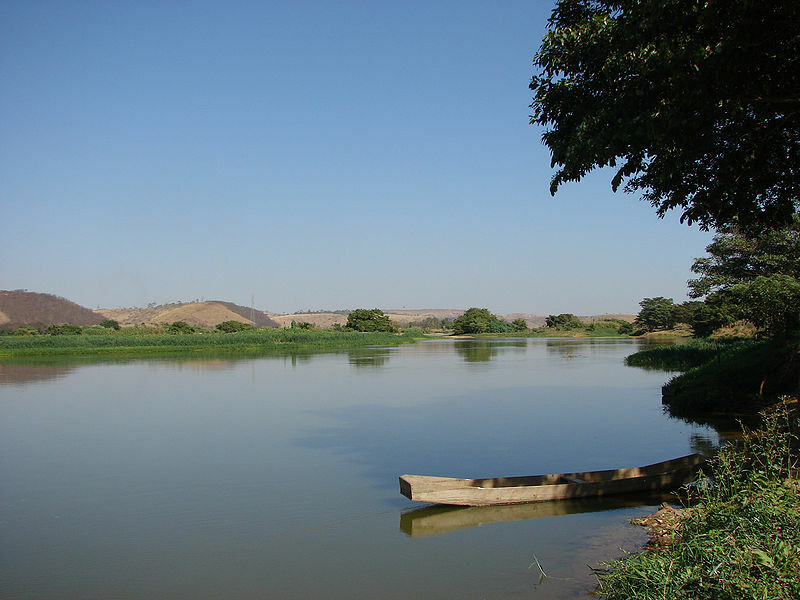 This is the story of the first death of Rio Doce, and with that biological deterioration has come noticeable economic and social consequences. For example, the absence of the dense forests that used to compose the basin is the main cause of the lack of rain in the region. In turn, this is directly related to the water crisis in Espírito Santo state. Since this slaughter of Rio Doce and its watershed, the people who live in the cities that depend on the waters are suffering from severe droughts and accumulating agricultural losses in the region. Another example is that the region is more vulnerable to the adverse effects of ongoing climate change. Areas such as the State Park of Rio Doce (MG) and the biological reserve of Sooretama (ES) have been suffering from extended droughts and constant forest fires. All of this generates uncountable losses and diminishes the economic potential along a large portion of the basin. As the population’s low income is further diminished, the already scarce natural resources are further stressed. As if all of this is not enough, we arrive at the 2015 tragedy where the inadequate drainage of the “Fundão” dam, in Bento Rodrigues, a district of Mariana, killed 19 people and suffocated the Doce River with all the mud from Samarco’s reservoir. 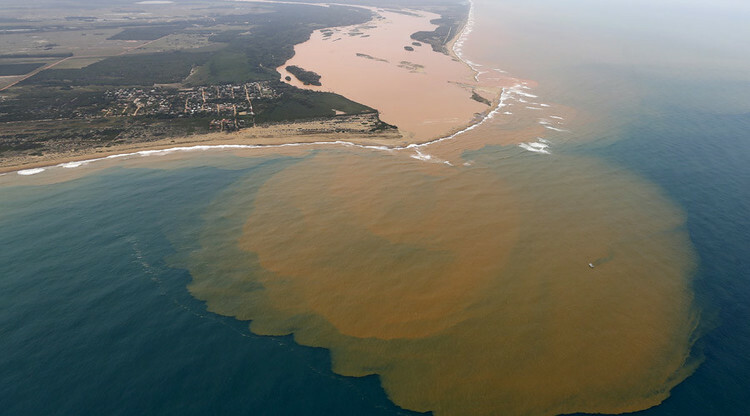 According to the technical report from the Brazilian Ministry of Labor, the mud affected all parts of the basin and traveled almost 700 kilometers from the accident site to the Atlantic Ocean. In the beginning of the 21st century, this dam-breaking disaster “killed” the Rio Doce, one more time. This tragedy could have been prevented. This accident is full of uncountable natural losses; the biodiversity loss will only be effectively calculated after decades of studies. Many important tributaries of the Rio Doce were not affected by the accident and still have some native, endemic, and rare fish species. If we belonged to a more decent and serious country that respected its natural resources, maybe we could recover the fauna along the main channel that was murdered with toxic mud. However, with the recent changes approved and implemented in the New Forestry Code (still in debate in the Federal Supreme Court), plus the lack of knowledge amongst the Brazilian population about the impact of these changes, and a lack of mobilization of the civil and organized society, the expectations are of a systematic worsening of the general status of the Rio Doce. With this in mind, there is little to no hope to resurrect the river basin, that has already been declared dead twice. Furthermore, the recrudescence of the academic discussions related to fauna management and the dismantling of our environmental legislation creates a very dark future for all fauna impacted in the Doce River. Many actions can and should be taken to restore the river and its biodiversity, even as a way to catch up after many decades of abusing the water and the life of this river so important to the Brazilian people, especially those who reside in Minas Gerais and Espírito Santo. Forest recovery programs, followed by projects to reintroduce native fauna, in particular aquatic fauna, should be prioritized. In addition, an intensive effort to implement sanitation projects in urban areas, such as sewage treatment plants, should be prioritized by public policies on the municipal, state, and federal levels. Without any action, we are facing the final funeral of the basin. In a few years, with the current government policies and negative interventions, there will be nothing left but memories of a mighty river with torrential waters that ran clean and full of life, of the dense forests along the riverbanks, and of the people and their stories, all before the Rio Doce was twice “killed”. Dr. Fabiano Rodrigues de Melo grew up in Governador Valadares, one of the most important cities in the Rio Doce valley. 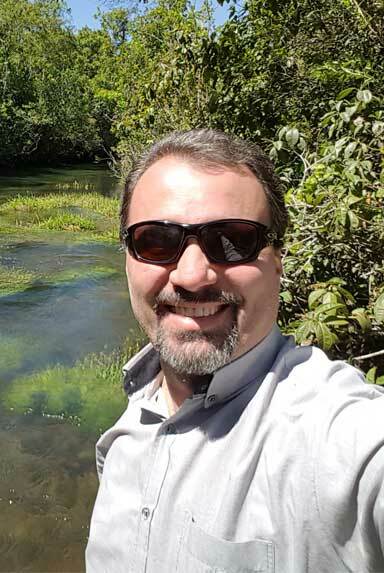 He received his undergraduate degree in Ciências Biológicas from Universidade Federal de Viçosa (1995), a Master’s in Genetics from Universidade Federal de Viçosa (1999), and his Ph.D. in Ecology from Universidade Federal de Minas Gerais (2004). The focus of his work today is on conservation biology, mainly endangered species, especially in the Amazon and Atlantic Forest.